"High-quality architecture and built environment for everyone“ is one of the 17 topics of the Council Work Plan for Culture. Through this, the EU has taken up the momentum created by the Swiss President with the Davos Declaration last year, which is also referred in the document. Of course we were not the only ones to push for this, but we did so by having a few meetings, in the Commission, with the Austrian Permanent Representation in Brussels, etc. There shall be an Expert Group (using the Open Method of Coordination - OMC) on High-Quality Architecture & Built Environment starting in 2020. Its work will conclude with a final conference and possibly “Council conclusions“. Just lean back, relax and read the following quote from the Work Plan: "The focus will be put on architecture as a discipline that encompasses the right balance between cultural, social, economic, environmental and technical aspects for the common good". Have you ever heard such a statement from the lips of a political institution? This is a major step forward towards recognising architecture as being a matter of cultural good and common interest. It is a major step towards getting us from the business services and construction sectors to the cultural field, the field of quality and the field of the common interest. And I am pleased to report some news from January: the OMC group mentioned above will be starting its work next year, leaving time, this year, to prepare and collect topics. We are informed that the ACE will be part of the OMC group as experts. Why do I think that this field is important for us? Within the EU-institutions the architectural profession is officially classified as being part of business services, though mostly understood to be part of the construction industry. Every colleague who knows the reality might be left to wonder. We might be the ones who develop projects, design and guide their execution, and if things go well, we have a say in what is going to happen. But: the driving force is finance, the investors and the construction industry. Interests other that those we have in mind (e.g. the quality of architecture, the built environment and the daily life of citizens) dominate. In this respect a quote such as the one I mentioned, saying that our activity contributes to “the common good“ acknowledges our interests and ascribes a different role to our profession. This is also important with regard to other tasks we are facing with other Directorates of the Commission. The endless debate about the “exclusivity of practice“ of our profession, the “lack of competition“ among professionals, talks of price-competition - regardless of how many architectural competitions take place, questions concerning the education of architects: in all these debates, we are seen as entrepreneurs in the same way as many others, selling products or services. But we are doing more than just selling services. And this becomes clearer, when we are able to show and state our creative and productive role in the building of our environment and through this also of our societies. Making our role publicly clearer will be beneficial to our debates in other fields. On 18 December 2018, Dr. Judit Kimpian, Chair of the ACE Sustainability Work Group, participated in a panel discussion at a conference on Level(s). Level(s) is a new voluntary tool developed by the EU Commission to improve the sustainability of buildings. Using existing standards, it provides a set of indicators to building professionals for the assessment of the environmental performance of buildings. J. Kimpian underlined the importance of having a holistic approach to buildings performance, throughout their life-cycle – beyond energy aspects, it is crucial to target improvements across all four pillars of building performance: consumption of natural resources, indoor environmental quality, occupant satisfaction and value over the life-cycle. Level(s) can help building professionals to better account for these aspects. Level(s) has also the potential to contribute to closing the performance gap between calculated and achieved performance by helping professionals to collect meaningful data throughout life-cycle. The recording of the full event can be found on this webpage. The ACE is supporting a survey conducted by the EU Commission on architects’ activities in the field of energy renovation and nearly zero energy buildings (nzeb). The survey shall enable a better understanding of solutions developed by architects, barriers to their implementation and drivers behind architects’ and clients’ choices. The outcomes of this survey will inform future EU policy-making. The consultancy in charge of the survey (GfK) will treat answers with full anonymity. For more details on how GfK ensures the confidentiality of responses, click here. The ACE will disseminate the results when available in 2019. On the occasion of the 24th Session of the Conference of the Parties (COP 24) which took place in December in Katowice, the ACE recalled that the buildings and construction sector can contribute significantly to achieving climate goals and that Architecture is a powerful means of preventing the worst effects of climate change and providing mitigation solutions, with benefits both at buildings and city levels. In the framework of its Architects Against Climate Change Campaign, the ACE has been seeking to raise the awareness of the public, construction professionals and decision-makers to the solutions that architecture can bring. This year, the ACE published a booklet featuring 20 Architectural Projects Against Climate Change which demonstrate that it is possible to design urban spaces that are capable of dealing with extreme weather conditions, while at the same time adding new qualities to the urban space; and to design low-carbon buildings while increasing occupants’ comfort and well-being. Today, the buildings and construction sector accounts for more than 35% of global final energy use and nearly 40% of energy-related CO2 emissions. Due to demographic growth and increasing urbanisation, built areas continue to grow at an unprecedented pace. Over the next 40 years, it is estimated that 230 billion square metres of floor area will be built, adding to the planet, every single week, a built area equivalent in size to the city of Paris - or the equivalent area of Japan every single year. Reaching the climate objectives set out in 2015 in Paris will require game-changing policy actions in the buildings sector. Read the full ACE press release on the ACE website. The jury of the EU Mies Award 2019 selected 40 works that reflect the most relevant challenges that European contemporary society and its architecture are facing (existing constructions, collective housing, territorian organisation and planning, and the importance of culture). The five finalist will be announced on 13 February and the Award Ceremony will take place on 7 May 2019 at the Mies van der Rohe Pavilion in Barcelona. On 30 May 2018, the EU Commission published a proposal for a regulation establishing the next Creative Europe Programme (2021 to 2027), the EU Commission's framework programme for support to the audiovisual and culture sectors, including architecture. The Commission proposes sectorial actions targeting specifically the architectural sector: "targeted actions for the mobility of operators, capacity-building, audience development and internationalisation of the cultural heritage and architecture sectors, promotion of Baukultur, support for the safeguarding, conservation and enhancement of cultural heritage and its values through awareness-raising, networking and peer-to-peer learning activities". At the end of December, the Council of the EU agreed its position, in which it supports the Commission’s proposal regarding the targeted actions for the architectural sector. In the Parliament, following the publication of the Rapporteur’s draft report (Culture Committee) all amendments tabled by MEPs were made public in December. In January, the ACE sent a letter to the shadow rapporteurs of all political groups to share its views on these amendments. The ACE expressed concern that these amendments give the impression that the architecture and heritage sectors are one single sector (Amdt 498), or that architecture is a sub-sector of the heritage sector (Amdt 81). While both sectors must work hand in hand to achieve quality in the built environment, Architecture goes well beyond heritage issues. Architectural creation raises specific challenges and the sector requires targeted support from Creative Europe to cope with these. ACE regrets that two amendments were tabled with the objective of removing the “promotion of Baukultur" from the list of actions to be supported by Creative Europe and recalls that the Davos Declaration, which was endorsed last year by Ministers for Culture and several NGOs, invited all stakeholders to support “further actions and measures which contribute to the promotion and implementation of the vision of a high-quality Baukultur”. On 7 February the Royal Institute of Dutch Architects BNA will organise the 4th edition of the MakeHappen! Inspiration Night in the creative hub Pakhuis De Zwijger in Amsterdam. This event about working internationally includes a networking dinner and inspiring Key Notes such as Eran Chen (ODA Architects), Francine Houben (Mecanoo) and Carolien Gehrels (Arcadis). The Break-Out Sessions will cover the most promising international markets such as The Gulf, Africa and Germany. Participants will receive practical Know-How on how to create international partnerships, broaden their business models and how to grow internationally step by step. During the Annual General Meeting of the KTP held on Thursday 10 January 2019 in Valletta, Simone Vella Lenicker officially commenced her tenure as President of the Kamra tal-Periti (Chamber of Architects and Civil Engineers) Simone has been active in the KTP for several years and occupied various posts. She is a former Vice-President and editor of The Architect, the official journal of the Chamber. On the same evening, André Pizzuto was elected Vice President for the coming two years, after serving for four years as a Council Member. He has been instrumental in the organisation of the highly successful Emanuele Luigi Galizia Awards, and spearheaded the KTP’s work on a proposal for a revamped Building Regulation system. For 2019 the KTP Council is composd by: Perit Simone Vella Lenicker (President); Perit André Pizzuto (Vice President); Perit Amber Wismayer (Honorary Secretary); Professor Alex Torpiano (Past-President); and Periti Jeanette Muñoz Abela, Anthony Bezzina, Lara Brincat, Gaston Camilleri, Sandro Cini, Ivynne Grixti, Alberto Miceli Farrugia, and Damian Vella Lenicker as Council Members. The year 2019 will be very important for KTP, which will celebrate the 100th anniversary of the establishment of the profession and the constitution of KTP itself in 1920. From January 2019 the Swedish Federation of Consulting Engineers and Architects (STD) has changed its name in the Federation of Swedish Innovation Companies (the Swedish name: Innovationsföretagen). Innovationsföretagen's mission is to create the conditions for a world-leading architecture and engineering industry. By forming an association, Innovationsföretagen will have a stronger voice and create increased opportunities to coordinate and drive industry throught societal challenges, promoting innovation, creativity and digitalisation. 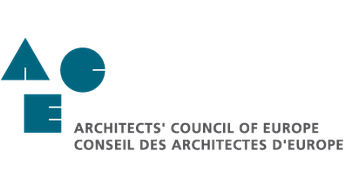 The hearing before the Court of Justice of the European Union in relation to the case of the Official German Scale of Fees for Services by Architects and Engineers (HOAI) took place on 7 November 2018 in Luxemburg. Professor Ralf Niebergall assisted for the profession at the hearing. The opinion of the Advocate General Maciej Szpunar will be published on 28 February. The final judgment is expected in the first half of 2019. The Latvian Architecture Award (LAA) is the most significant annual national architectural competition with the goal to identify and popularise the best Latvian architectural accomplishments and to encourage the development of architectural performance. Each submission is evaluated as equally valuable because the decisive criteria that make an object stand out is a good architecture, not its size. Entries can be submitted online until 1 March 2019 via www.latarh.lv. The Award ceremony will be held on 17 May 2019. The International Conference “Architecture of Migration” will be held in Riga, Latvia from 6 to 8 November, 2019. The event is organised as an initiative of the Architects Associations of Latvia, Lithuania and Estonia all together forming Baltic Architects Unions Association (BAUA). The conference “Architecture of Migration” will tackle the topic paying attention to different measures from the interest points of architecture, spatial and territory planning, infrastructure and urban development. On the same dates, the International Union of Architects (UIA) will hold the Region I and II Presidents' meetings. More information available soon in www.latarh.lv. The 17 UN Sustainable Development Goals represent the aspiration of the people of the United Nations for a more sustainable future. The UN Global Status Report "Towards a zero-emission, efficient and resilient buildings and construction sector" documents the status and trends of key indicators for energy use, emissions, technologies, policies, and investments to track the buildings and construction sector, globally and in key regions.